Does your company want to plan a team building event and will require transportation? Call Kevin Smith Transportation Group today at 610-222-6225 and let one of our Corporate Concierges arrange all of your transportation. From small dinners to large group events, KSTG can provide the vehicles and service to make your event perfect. The company approached us identifying 4 events a year that require transportation. Two are smaller affairs which encompasses Senior Management and their Board of Directors and two are all-employee events. They were looking for someone who could provide Executive transportation but also handle large shuttle services for their bigger events. The idea was to customize out some options that delivered to both categories. The focus would be on providing a dedicated Relationship Manager along with on the ground Project Managers when needed. They had yet to find a single company who could handle all of their work. They either were good at the smaller events or did well with the larger groups but missed the boat when their Board of Directors held meetings. The idea would be to ensure we carried the right luxury sedans and SUV’s for airport pickups and off-site dinner meetings and still offered the larger shuttles and mini buses that could handle the larger groups. In addition, we would dedicate specific Chauffeurs to their Executive travel to build that comfort level with their Leadership. They had no real alternatives, other than staying on a course that wasn’t delivering the results they wanted. Clearly, this wasn’t a possible solution they could pursue. We started by doing a sit down with their HR and Office Manager, who each played a role in booking transportation. For the Office Manager, we assigned a dedicated Relationship Manager who would be their primary for all Executive travel. For HR, who coordinated all of their company events, we outlined a new process that provided onsite Project Managers at both ends of the transfers, including somebody posted at the event itself and their offices to greet employees when they boarded and arrived. 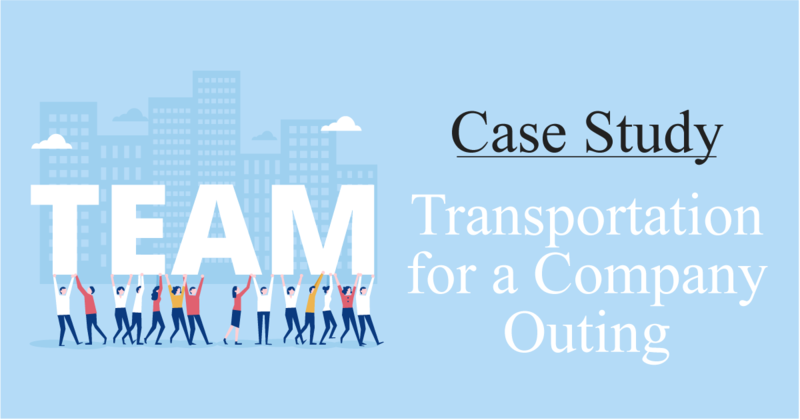 This end to end solution was lacking previously and would provide them with the level of comfort they needed to feel confident that their event would be seamless from a ground transportation perspective. Don’t assume you understand everyone’s issues. We thought on our first call we 100% understood their challenges. However, once we met with them onsite, we quickly realized there was more than just vehicle issues that they were dealing with. By taking the time to listen, we built a solution that would be sustainable and after 3 events under our belt, we are confident that the program will only continue to improve as we continue to refine how we deliver the overall experience to them. Thank you for reading today’s Case Study on Transportation for a Company Outing. Hopefully, you found this information insightful and you will be able to apply some of these solutions to your specific transportation challenges. For more case studies on the ground transportation industry, visit www.kevinsmithgroup.com/blogs.